Southern Pacific combine No. 8 has led a varied life. Built in 1887 by the Harlan & Hollingsworth Company of Wilmington, Delaware, it first served of the narrow gauge South Pacific Coast Railroad (a Southern Pacific subsidiary since 1885) as coach No. 69, one of eight cars numbered 64-71. There it operated in the trains that ran from the San Francisco ferry connection in Alameda to the beaches in Santa Cruz. About 1904 or 1905, during the Tonopah boom, the Southern Pacific leased coach no. 69 to the Carson & Colorado, which the SP had purchased in 1900. The C&C was reorganized as the Nevada & California in 1906. The northern part of the line was converted to standard gauge, with the narrow gauge running from Mina, Nevada to Laws and Keeler in the Owens Valley in eastern California. The car became N&C No. 9. The N&C was merged into the Central Pacific in 1912, making the car CP No. 9. Subsequently the Southern Pacific took over the line directly. 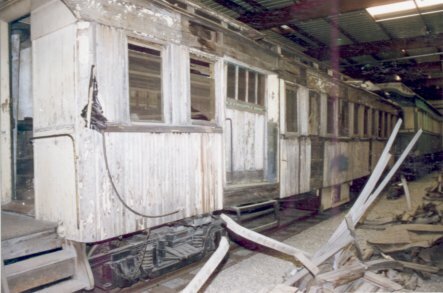 In 1931 the car was rebuilt as a passenger-baggage combination car (combine), renumbered as SP No. 8, and used in mixed train service. When the SP abandoned the narrow gauge line from Mina over Montgomery Pass in 1938 combine No. 8 became surplus and was sold to Parker Lyon for his Pony Express museum in Arcadia, California. In 1955 Bill Harrah purchased Parker Lyon&apos;s collection and moved it to Sparks, where it sat out the years next to the auto collection. When the Harrah&apos;s museum was broken up, combine No. 8 was sold to Gary Norton. Norton recognized the historical significance of the car, and decided it should be preserved. 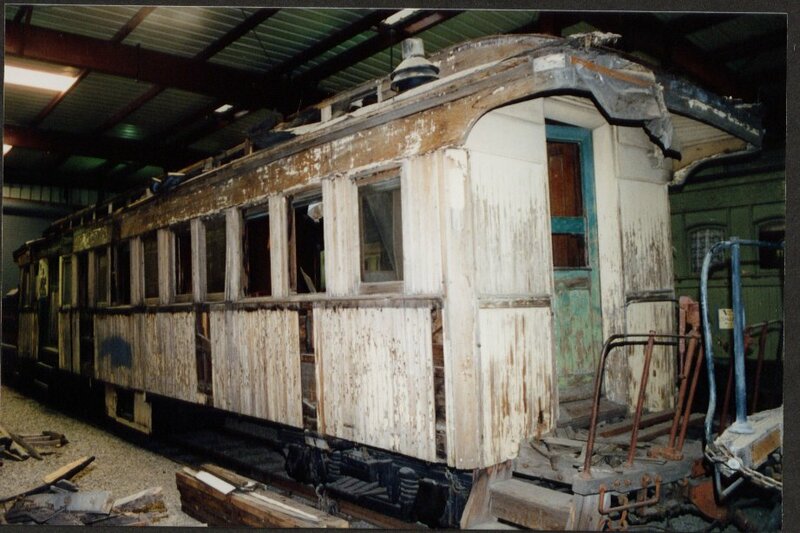 The Nevada State Railroad Museum purchased the car in 1991, where it awaits restoration.